A global retailer approached us in need of a logistically cost-effective way to respond to an aggressive growth strategy and solutions to better manage their fixture assets. Safeway Logistics developed a program that established a warehousing and distribution infrastructure by adding an east coast and a west coast strategic stocking location. This provided warehousing, real time visibility to assets and on-demand shipping services, placing critical parts and fixtures inside the US, closer to planned construction locations. The solution dramatically improved service response times to the clients construction sites. Sequenced, time definite deliveries of critical construction materials and fixtures are now measured in hours instead of days, with the average delivery time reduced substantially from the initial request and a better overall ROI on the entire process. 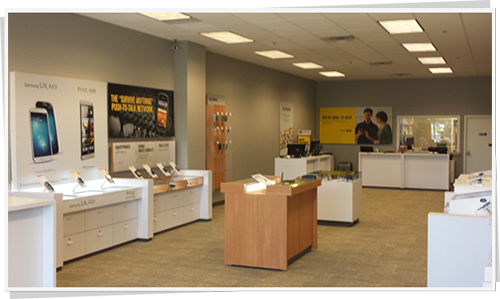 In addition, reduced downtime of construction crews, elimination of extended schedule delays and decreasing the need to expedite parts for our client has made the supply chain of the construction of new stores plus the ability to reuse and manage seasonal fixtures a competitive advantage. Local non-profit agency expressed a need of inventory accountability to lower and eventually eliminate their loss on unaccounted merchandise in storage. Safeway Logistics developed a program using an Inventory Management system to help maintain product moving in and out of the local warehouse that was storing product. This provided real time visibility to all of their product being stored and was able to submit prompt requests and they be completed in a quicker more cost effective manner. The solution improved the client distribution to its final destination. 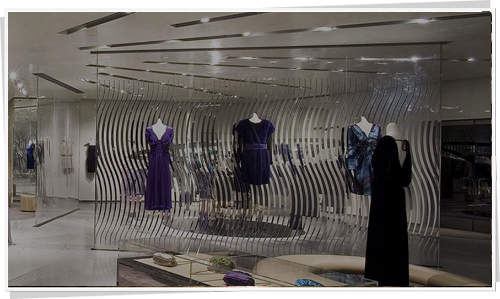 The client was able to login via the provided website 24 hours a day to access their updated inventory. The customer was also able to submit Work Orders so items were pulled and ready for local pickup. This improved their ability to allocate funds to other projects within their organization. 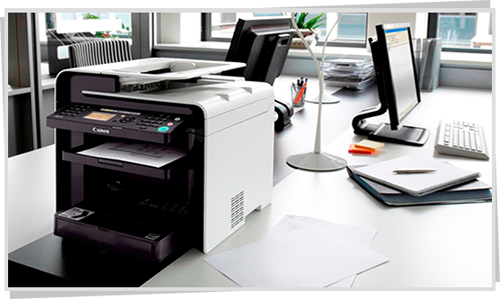 A global copier manufacturer/distributor approached us for a regional/national solution to provide various levels of logistical support across the continental US and help them greatly reduce the number of different vendors they were dealing with. 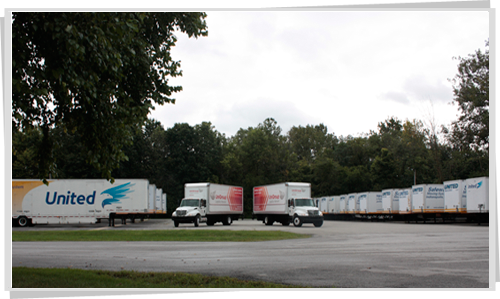 Safeway Logistics, with support from UniGroup Logistics, utilized our strategic partnerships to provide multiple final mile delivery solutions, regional facilities to house their internal fleet operations, customer relocation support, and line haul support. Our solution allowed the customer to move away from numerous, individual partnerships with different vendors and provided one point of contact to solve all of their logistics needs. They are now able to be secure knowing whether they need delivery help in the southeast, warehouse storage space in the northwest, or any other transportation-related help; they are one call away. Retailers have cyclical and often trending products that need to get to market fast. The personal communications and electronic devices group moves through these cycles the fastest. They continually need a method to place the supporting displays and fixtures ahead of those new products Sometimes, a few hundred locations will get the new POP's and Fixtures, sometime thousands. Sometimes regional or just metro markets, and other programs go national and global. We meet each of these project head on with an aggressive approach each time. Safeway Logistics develops a specific plan each time to every roll out project. No two are alike and neither should be the implementation. Safeway goes beyond the execution of the delivery. Safeway joins the process right from the start with the retailer or installation firms. We consult working from the Drop Dead date back to the include factory production schedules, packaging, staging, and of course the logistics planning. Weather blanket wrapped large tables and slat wall units to counter top POP's, Safeway plans are project specific. We also incorporate a recovery plan. If damage is to occur, often we have that replaced before the rest of the program ends still meeting 100% satisfaction. 2,400.00 Greeter Stands in 11 Days, 1,400 Nesting Tables in 14 days, 1,600 Large Glass Top Illuminated Tables 21 days, these are serious results from a serious logistics company. Our list of happy clients are always willing to recommend our services. Just ask us and we will put you in touch with your peers who do not sweat the details on how their roll out is getting done. The industry is ever changing its security, baggage and body scanning equipment throughout the US's airport and pedestrian transportation facilities. There are only a few organizations that can offer a complete solution within this space. This limits the OEM and or players in this space with adequate qualified resources to meet the demands. We have aligned ourselves through our vast network to offer a solution that demonstrates confidence, efficiency, and results with our global partners. We have developed a following and a knowledge base that allows Safeway to be the choice of several key players in this industry. Safeway Logistics developed a program that significantly enhanced the client's existing position with the OEM, TSA, Contract holders within the Security scanning and screening space. We have offered a single source solution to handle all components of the installation phase. This would include Transportation, Warehousing, Rigging, Glass, Barrier, and Gate both relocation and removal. We have aligned ourselves with key partners to also be able to support the electrical and flooring repair needs. Our WMS provides real time warehousing visibility to our client's assets, allowing for on-demand shipping services to meet their needs. We have allowed our clients to reach more opportunities by utilizing our network of facilities with greater than 700 locations and 28MM feet of storage. We have taken the burden off them by handling these services all the way from delivery, to installation, to servicing them with the reverse logistics phase of the business. We have become the resource of choice due to our ability to customize a solution for each client giving them the flexibility to attract more business. Our client was searching for a local solution in Indianapolis to solve what we found to be a national issue. They were looking for ways to maximize service and installation penetration to meet their client’s demands and reducing overhead cost by keeping them focused on their core competency and by minimizing their staff’s exposure to injury. Safeway Logistics developed a national pricing strategy and an end to end solution which included inserting ourselves between our client and their customers. This gave our client an extended network and allowed them to focus their staff on generating revenue, while servicing a larger number customers and passing along our charges directly to their clients. What we have seen is year over year increases in the volumes of both revenues and assignments. Our processes have improved and with that we have been able to position ourselves and an extension of our client. This has resulted in that client has started turning their customers over to us directly to manage the LOGISTICS portion of the relationship directly allowing them to spend time focusing on growing their core business. The solution dramatically improved service response times to the customers’ needs and ultimately improved the customer experience. Specialty Flatbed is a privately owned specialized flatbed transportation and logistics service provider out of Indianapolis, IN. Working primarily in the high value, high quality service market for customers who require best-in-class on-time and claim-free flatbed transportation. Safeway Logistics has been serving the specialized product industry since 1969. 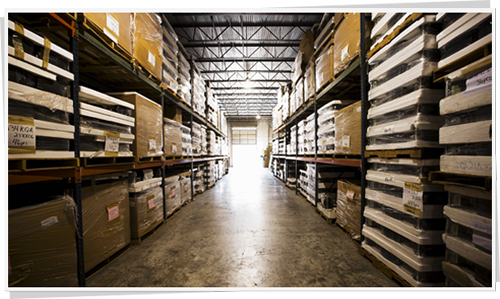 Our entire focus is around this niche in moving, handling and warehousing high value products or items that require specialized handling. Back in 2013, there was a nationwide helium shortage. Helium reserves are regulated by the federal government and is subject to availability as impacted by federal budgets and approvals. Political issues at the federal level caused a delay in renewing the federal budget, thereby limiting the helium release and availability and causing a nationwide shortage. A major medical imaging client came to us seeking a technical solution to their helium concern. We knew that medical MRI’s often use high volumes of helium in their equipment to achieve the super-cooled environment. What we learned was that helium must be kept at high pressure and volume from the moment it leaves the cryogenic farm until it delivers to the medical facility. The concern was that replacement helium was needed after every MRI delivery, and this helium was not available. As such, the shortage would prevent the MRIs from operating. No helium, no MRI. No MRI and the patient goes to another MRI provider. Therein lies the problem statement. How does a carrier maintain a working compressor on a trailer to limit the helium loss, and offer open access for overhead cranes to load and unload a 33,000 pound cryostat, with protection like an enclosed van, and venting of the compressor engine gases? 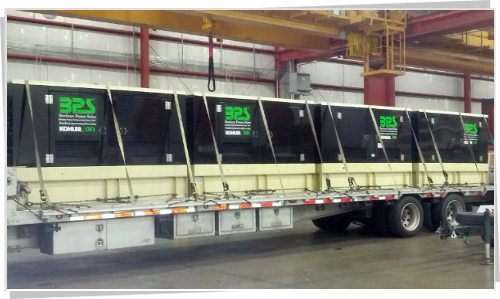 The solution must be replicated to multiple trucks to meet the shipper volume, transit and install date requirements. The Safeway Specialty Flatbed staff and fleet were experienced with major medical OEM specialized transportation requirements. However, we had never operated a working combustible generator on a flatbed. Additionally, a specific trailer type, a Conestoga-equipped flatbed, would be needed to solve the overhead load/unload and the van-like protection issues. The client identified the power requirements of the compressor, and we located a generator company who could provide large, portable gensets. It was important they also be CARB-compliant as deliveries were to include California hospitals. An electrical supply company was secured to provide the cabling needed to connect the gensets with the compressors. The drivers were trained on the genset operation and refueling procedures. Ductwork from the exhaust stack to the rear flap was required to keep the interior adequately cooled and ventilated for engine operation. This was secured from an industrial HVAC contractor. The client was able to meet every client’s delivery requirement for installation which is critical due to the complex logistics of building permits, contractors, installers, rigging companies, site personnel, and hospital disruption limitations. Not a single MRI was compromised. If the cryostat had quenched at any point, thousands of dollars of irreplaceable gases would have vacated the machine and caused lengthy start-up delays. Trust and confidence were furthered, anxiety melted, and accountability was again proven by the transportation coordination solution of Safeway Logistics Specialty Flatbed. 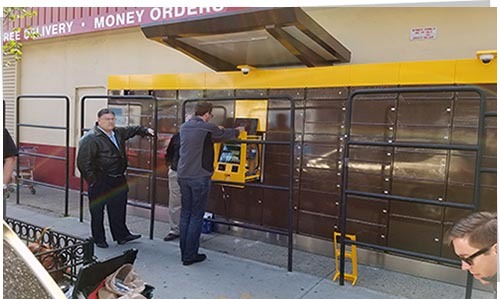 A large package-delivery company needed a solution to help them with installing and servicing hundreds of end-point delivery locker banks (both indoor and outdoor) in various markets across the US. They approached one of our Partners, who in turn, reached out to us to provide the transportation and installation piece. 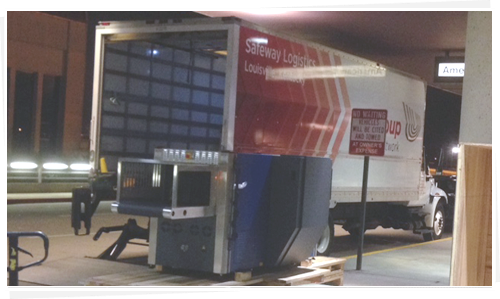 Safeway Logistics organized and utilized our internal team, as well as our strategic partnerships to provide local transportation & specialty installation teams to complete the various installations in the numerous requested markets. Our solution allowed the customer to combine a large number of their routine "multiple-stop" delivery runs into "one stop" runs to their secure, dedicated locker banks. This has allowed them to increase their productivity, help them put more packages in their customer's control faster, and save them money on employee hours and fleet costs (fuel, maintenance, etc. ).